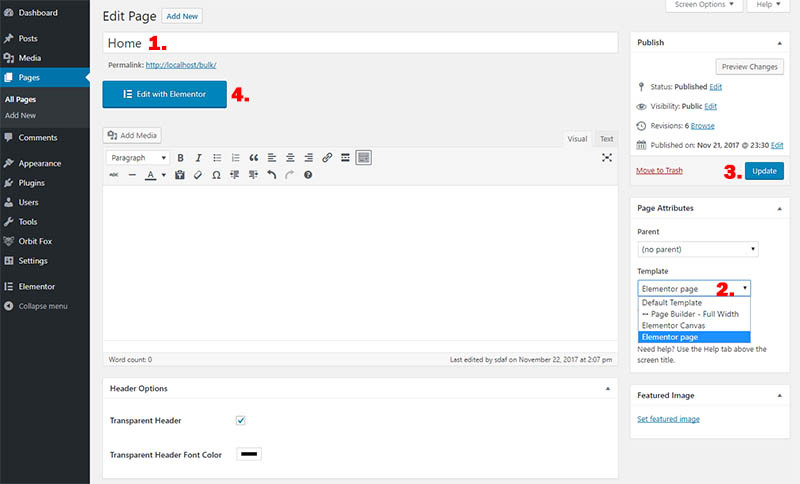 Theme supports Elementor Page Builder plugin. Install and activate the free Elementor Page Builder. To start working with Elementor, go to the WordPress dashboard and add a new page by clicking on Pages > Add New.